Whether it be formula samples that were never tried, formula that revealed a milk allergy, or formula that’s outgrown your baby, you – or at least one of your new mommy friends – will have some baby formula at home that isn’t being used. 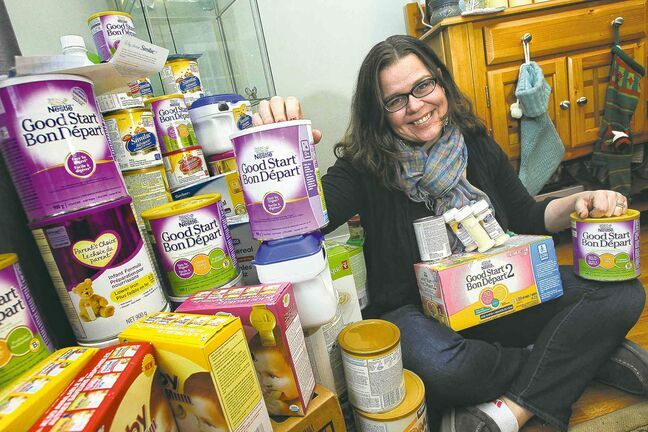 Ask any mom that feeds their baby formula, and they’ll be the first to tell you that unused formula is better off donated to another mom who can use it. The costs involved with formula add up all too fast, so once you feel that urge to leave unused and unopened formula in the back of a cupboard, consider donating it locally, instead. Herizon House, a shelter for abused women and their children (Ajax). YWCA Durham’s Y’s WISH shelter for women and children (Oshawa). The Rose of Durham, offers programs and services to support young parents in Durham (Ajax, Oshawa and Port Perry). Wings Maternity Home, supports pregnant homeless young women (Ajax). The Refuge, is a drop-in centre that supports youths 24 and under (Oshawa). The Pregnancy Help Centre, a faith-based organization that supports pregnant women and families (Ajax and Oshawa). Bethesda House, an organization that offers services to victims of domestic abuse (Bowmanville). The Denise House, is an emergency shelter for abused women and their children (Oshawa). Feed The Need in Durham, is the food distribution warehouse and hub for Durham Region’s Food Banks, Soup Kitchens, Shelters and other food programs (Oshawa).